It’s never easy throwing a party together but I will say it is quite fun in the end and well worth it. Our little Maddie turned two today and had a great time at her party this weekend with family and firends. I wanted to share her cupcake cake that was an absolute hit. It was super yummy, easy to make, and very cute. 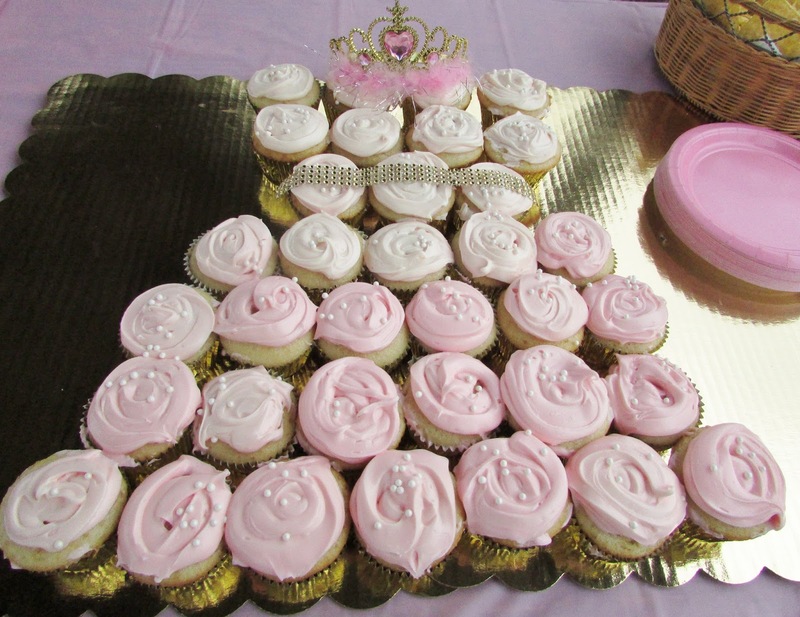 It fit the theme of her gold and pink princess party. 1.Following the cake recipes exactly. 2. Let your cupcakes cool and then add your icing. I put mine in a Ziploc bag with the edge cut off to make it easier to apply the icing. 3.Then sprinkle little white cake pearls on all the cupcakes.